This is my newest possession. It is a gift from my lovely Mom and that makes it even more special. 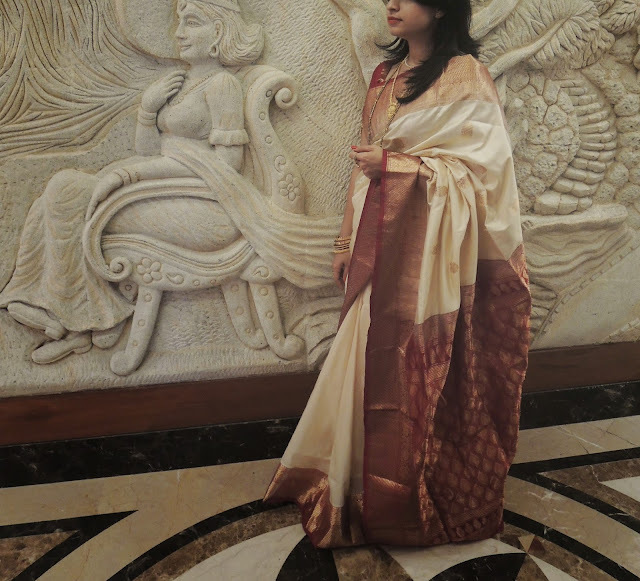 A Kanjeevaram silk saree in the classic combination of pearl and red. 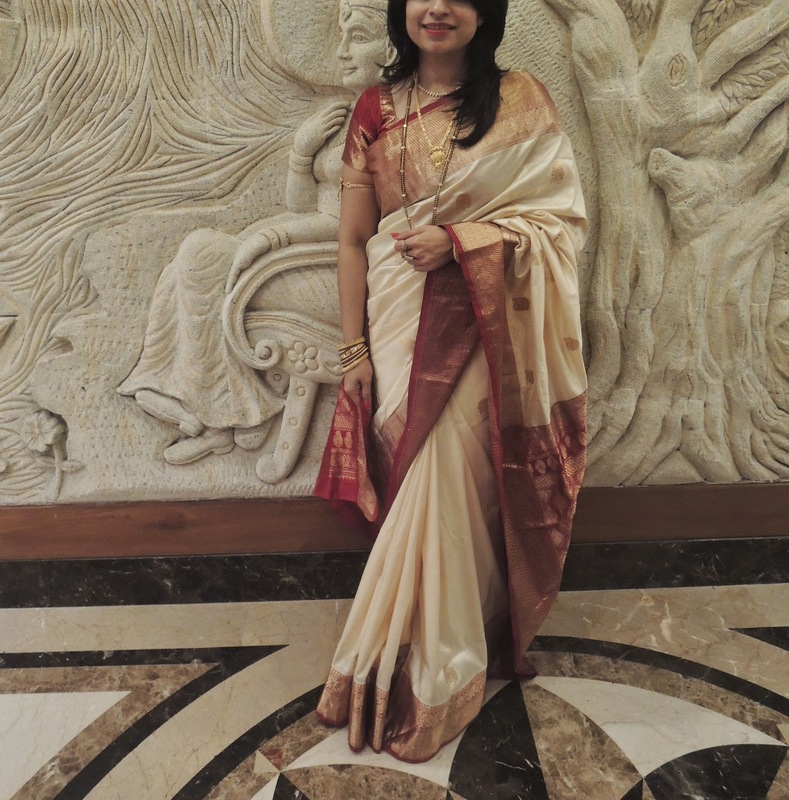 Had worn it to a cousin's wedding a month ago. I completed the look with red lips, red nails and of course gold jewellery. Its a beautiful saree, love the gold jewelry. Beautiful Saree and you look stunning in it! I also have a kanjeevaram and hopefully will get the chance to wear it soon! Free Download the images of Happy Friendship Day For 2015 to set up on your what-app DP, Facebook Profile and More. Its a gorgeous saree Aditi. Love the clutch and those gold bangles!! !